Wednesday brings Face Off: Illinois State University Edition, which appears to be a local version of the Syfy competition show where special effects makeup artists vie to see who can create the best monsters, aliens, fairies, walking wounded, zombies and other exotic beings. 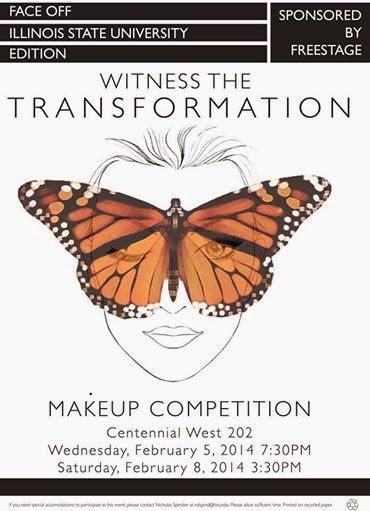 For ISU, China Hawkins, Allison Kmichik, Josh Pennington and Sam Peroutka will be pulling out all the tools in their makeup kits at 7:30 pm on February 5 in CW 202. Also on Wednesday, a group interp version of Tuck Everlasting will begin at 9:15. Dance Inventions is the lone Thursday offering in a location to be named later, while all four shows -- Five Women Wearing the Same Dress, Shakespeare's Suicide Hotline, Tuck Everlasting and Dance Inventions -- come back on Friday. Five Women is up first at 5:30 pm, followed by Dance at 7, Tuck at 9:30 and Suicide at 10:30. 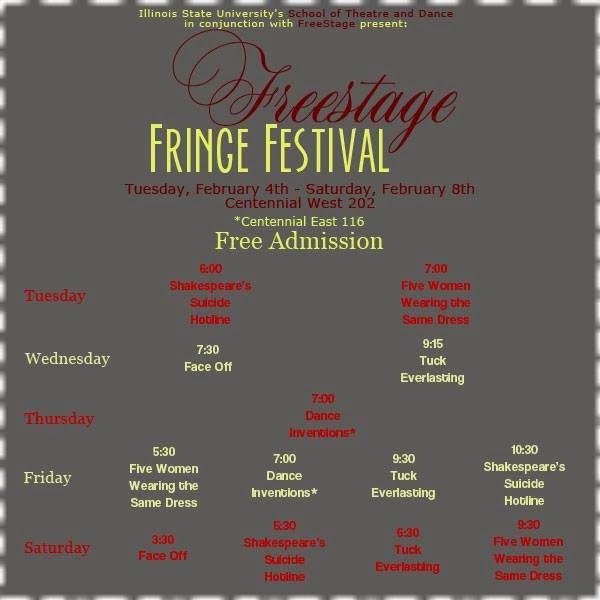 They'll do it again Saturday, with the Face Off finals at 3:30 pm, then Shakespeare at 5:30, Tuck at 6:30 and Five Women closing out the Fringe Festival with a 7:30 performance. 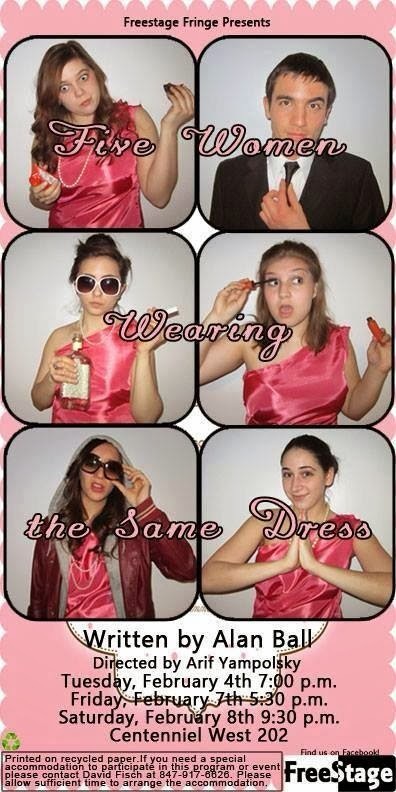 To see the whole lineup, click here for the FreeStage Fringe Festival 2014 schedule posted on Facebook. You can also check out the main FreeStage page for more information on what it is and what it aims for.